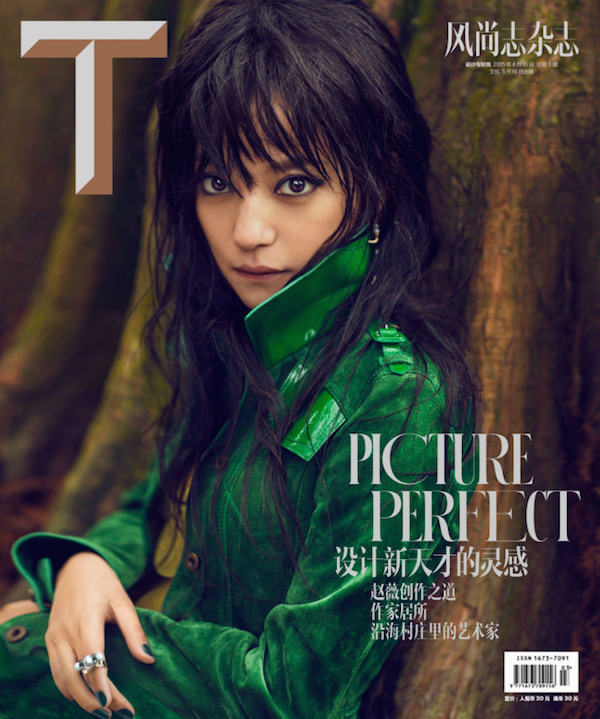 Vicki Zhao Wei looks like a gorgeous and beguiling woodland fairy in this enchanting T Magazine editorial photographed by Chen Man and styled by Lucia Liu. The acclaimed Chinese actress who recently made an appearance at this year's Met Gala will soon be back on Asian television screens in the series Tiger Mom opposite Tong Dawei. She is also an award winning director. Her 2013 debut film So Young was both a critical and box office success in China. That's actually a movie I've been meaning to watch. I was shocked to find out that she recently turned 39 because she still looks just like her famous Xiaoyanzi character in the series Princess Returning Pearl (Huan Zhu Ge Ge) which came out in 1998. I've never posted a pictorial featuring Vicki even though she's one of my favorites because the Chinese magazines go overboard with the retouching sometimes. Thankfully this isn't one of them. With this kind of beauty, she definitely doesn't need it. Wow, wow, wow, she is utterly gorgeous. Thanks so much for introducing her to us. We can't wait to see what she does next! Wow, she is stunningly beautiful. And this editorial is amazing! I don't ever come across a spread where I like every single photo and item of clothing, but that is surely the case here. The green coat! That rose-appliqué lace dress! ah, stunning. The dresses are all amazing! She looks almost like a fairy! Rowena, this editoiral is out of this world! Thank you for introducing Vicki to us! She is incredible beautiful and I can't believe she is 39!!!! Such an amazing fairy tale! And that pic #4 reminds me of American Beauty somehow! Thanks for sharing, lovely! Happy Friday! This editorial is gorgeous have a great weekend. Wow she's o beautiful and the pics look like taken from a fairy tale. I can't believe she's 39. I would have guessed she's in her 20s. One of my favorite editorials so far. Wish you a happy Friday Rowena! She has such enormous, gorgeous eyes! Oh my and how is she 39? I'll take what she's taking! Have a good weekend dear! Oh my gosh! I wanna be her!!! Say what?! She's 39?! Let's hope it's because of good Chinese genes because I'm half Chinese so maybe I'll age as gracefully as her, Gong Li and Carina Lau. LOL! I remember her from one of her first movies where she was still baring her top half, how time has changed for her since she first started. I've always found her to be exceptionally beautiful, her facial features are unique and she honestly looks the same after all these years. Wonderful pics and amazing dress.... I love the white lace one with red flowers!!!!!!!!! Win any top of your choice from Banggood on my blog! Her eyes are mesmarizing...this editorial is magnificent...so dreamy and arty. She does look like a fairy..a beautiful forest fairy. 39 years old? Some people just do not age like the rest of us mortals. I just love these photos and the looks. I especially love the white dress. It is absolutely amazing. Great post. she's beautiful and this pictorial is gorgeous. her eyes are so mesmerizing! Gosh, she has such an unique face with an ethereal, pixie-like look! Beautiful! An amazing photo shoot! The blue feather dress looks so so stunning. I like the first one and the pinkish one. Magical. i love how fairy-like this editorial is! ooooohhhhhh! Love love love these visuals. Yes, I have to agree with Shirley Tay here, she looks really different here, but I guess sometimes that is the whole point of an editorial, right? Look different than your usual self and get into the mood of "playing" different role all together. Thanks for sharing and hope that you are having a great weekend! ps. win USA beauty goodies from lorac, tarte etc on my blog! click here. Wow! She is so beautiful. Amazing selection, Rowena. 39 and still looking 21, ah, Zhao Wei is gorgeous! 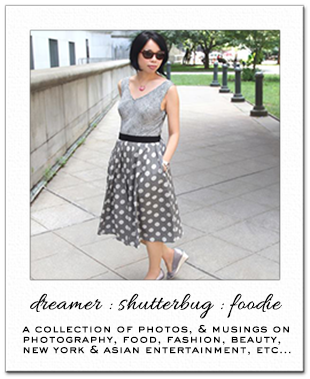 Loving all the articles of clothing featured as well, especially that rose dress. No you are right she doesn't and what a STUNNING editorial wow. Ok off to pin some of these now, thanks for sharing! Wow, she's stunning. I can't believe she's 39! Her eyes are so striking! The designer gowns she's wearing are stunning. Love the backdrop for this shoot. Wow this is a stunning editorial!! !